Our beachflag/flying banner are a perfect solution for events and retail outlets to get your message noticed. 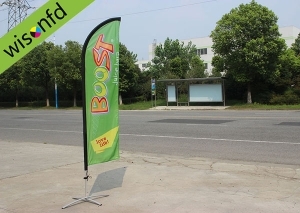 Use the beachflag/flying banner to create a stylish product at your event or trade show. 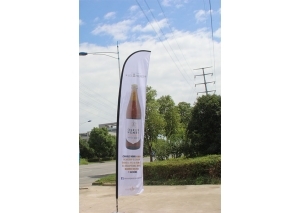 The waved beahcflag and good looking shape can catch the eyes, ensuring your promotional message gets the attention it deserves. 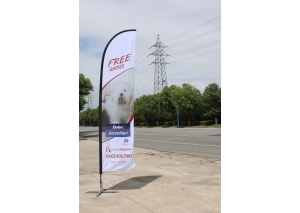 The all Aluminum pole beachflag/flying banner can be with ground stake for soft surfaces such as grass, beachf or snow. In the Accessories tab, you can substitute an X base with water bag for hard surfaces, and can be used in any environment.